Company Profile | HUANG WEI TECHNOLOGY ENTERPRISE CO., LTD . Since its inception more than 20 years of accumulated experience, and from OEM experience, continuous accumulation technology, improving quality, and finally created a brand belonging to Huang Wei - HW in February 2013. It follows by continuous researches and development to meet a wide range of customer needs; in the meanwhile, the establishment of the HW Broadwood team to assemble other riders and travel around Taiwan to promote sports and fitness. 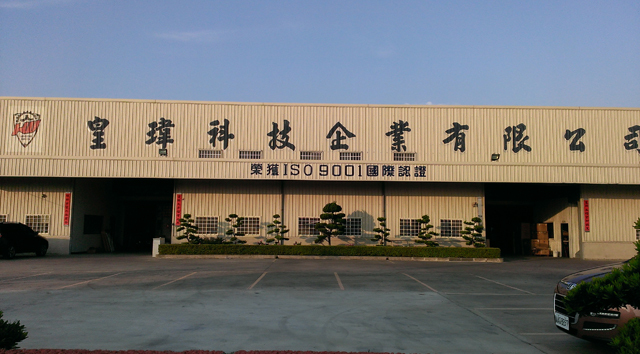 Huang Wei was founded in February 1992, with ISO9001 certification for professional welding in aluminum parts such as bicycle frames, forks, wheelchairs for medicine and all kinds of products related to aluminum welding and manufacturing. Now, including having been producing aluminum frames for Giant, the largest bike company in Taiwan, we also manufacture the aluminum frames of seat chairs for THSR and Puyuma Express. Copyright © 2014 HUANG WEI TECHNOLOGY ENTERPRISE CO., LTD . All rights reserved.